I don’t know about you, but I’ve gotten to the point in life where I’m pretty much over the stress and the anxiety of gift shopping. We are all running around trying to Black Friday this, and Cyber Monday that, but at the end of the day we just end up in the “stuff” race with everyone else. More often than not, we are giving gifts to our loved ones just because it’s what we are supposed to do. Sure, maybe they like the new perfume, or appreciate that sharp tie, but is it something that is actually going to bring them joy?! I dunno. Maybe this is the year that we think of a different approach. Instead of giving them something they’d expect, why not surprise them with something that requires you to not even step foot in the mall, or have to worry about wrapping anything? Friends, these are the memories that last a lifetime. I cannot think of a gift better than that. I promise you that experiences are what make us happier than any type of physical gift can do. Lasting joy is about doing stuff, rather than having stuff. In light of that, I want to inspire you with a few different ways (and price points) to make this come to life. 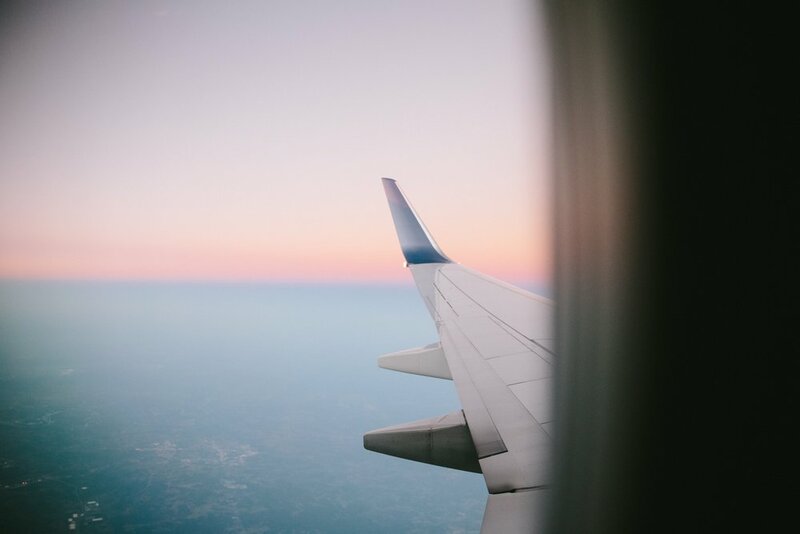 You can pick an airline the recipient flies frequently or one that has a nearby hub or offers a large number of flights in and out of the major airport closest to their home. And if you have a specific trip in mind, simply check the routes ahead of time, and do a little research. I love the idea of gifting someone an easy trip, and a way to get away for a few days and really relax and unwind. These trips don’t need to be complicated, in fact it’s the exact opposite. Depending on where you live, pick a place within driving distance, and find the perfect spot that sets the tone of what you are looking for. You can choose to book a few nights on your own or get a gift certificate so they can choose what works best with their schedule. If you are unsure about where they’d like to go, you can even get a getaway gift card from BedandBreakfast.com, and they can choose from over 400 spots around the country!